Probably the fastest car in the world today Hennessey Venom GT that can be used on the highway with its own notes at the beginning of 2014 to be able to reach speeds of 270mph, slightly faster than the Bugatti Veyron. But not officially recorded. Technically Bugatti Veyron Super Sport is officially recorded as the fastest car in the world according to the Guinness World Record (268mph), which criteria should be 2-way (opposite) to obtain the average velocity, while Hennesey Venom GT is only 1 direction. While it has been present One: 1 from Sweden is the new generation of hyper cars currently produced by Koenigsegg has actually been presented in March 2014 at the Geneva Motor Show. Koenigsegg One: 1 is the world's first production car with the engine performance up to 1 MW, thus making the One: 1 Megacar become the world's first series. Name One: 1 is derived from the power of the engine (1360 PS) to the weight of the car (1360 kg) to obtain a ratio of 1 to 1. The output power is 1360 ps is equivalent to 1 megawatt, so Koenigsegg of Sweden's claim to have made ​​the world's first Megacar. The power of the engine exceeds than the Bugatti Veyron Super Sport, Hennessey Venom GT, Ferrari LaFerrari, McLaren P1 and Porsche 918 Spyder. 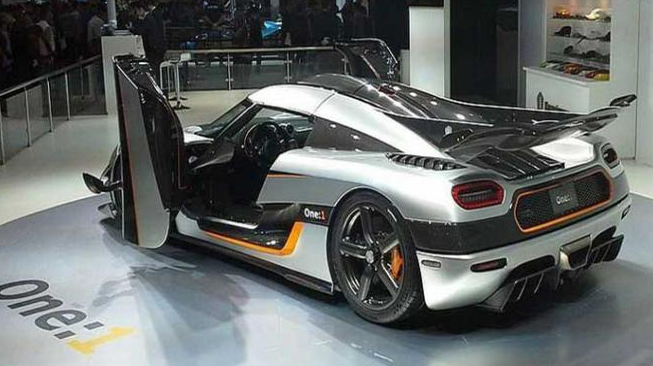 As for top speed, the Koenigsegg said it was not a priority for One: 1. However, the company is confident One: 1 can exceed the speed of the Bugatti Veyron Super Sport and passed the test to reach speeds of 273mph. One: 1 is equipped with a 5.0-liter engine variant of the twin-turbocharged V8. Engine to generate power to 1,360 PS (1 MW) at 7500 rpm and 1371 Nm maximum 6000 rpm. The total weight of only 197 kg thanks to the engine intake manifold carbon fiber and aluminum construction. The transmission is dual clutch with 7 speed paddle shift. One of the design goals: one is to create a class of high-performance vehicle category. This program is one of the most exclusive production car ever imagined. 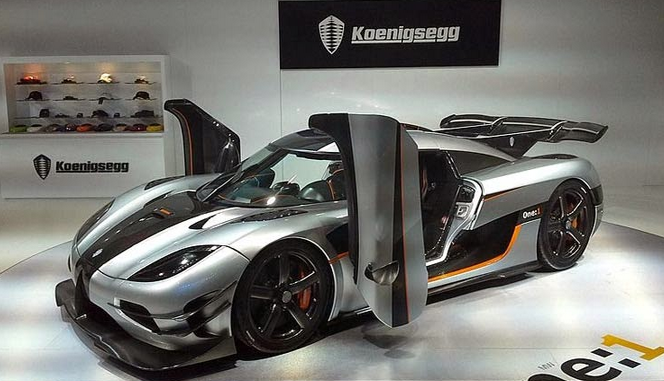 Koenigsegg has also featured two cars at the Goodwood Festival of Speed ​​2014, in addition to other supercars such as the McLaren cars P1, LaFerrari Ferrari, Porsche 918 Spyder and the Pagani Huayra.